The snowball shooter is a winter wonderland in a shot glass. Filled with brandy, peppermint schnapps, and chocolate liqueur, it's sure to warm you up on a cold day. Beyond the shot's delicious taste, the snowball is also incredibly easy to mix up. Since you'll pour equal amounts of each of the three liquors, you'll have no problems remembering this recipe. Store it in your memory bank and you'll be able to share a round of chocolate-mint shots at any party. In a cocktail shaker filled with ice, pour the three ingredients. Crème de cacao is a sweet chocolate-flavored liqueur. The white version—it's actually clear—is recommended for the snowball, but you can use dark crème de cacao if you have it. Only the color of the shot will change and the taste will remain the same. There are other chocolate liqueurs available, though most of them are on the creamier side of the spectrum. If you have one of those bottles, it will work in the snowball though you'll have a different texture. Some bottles of peppermint schnapps are stronger than others. The higher the proof the stronger the peppermint and alcohol taste will be. 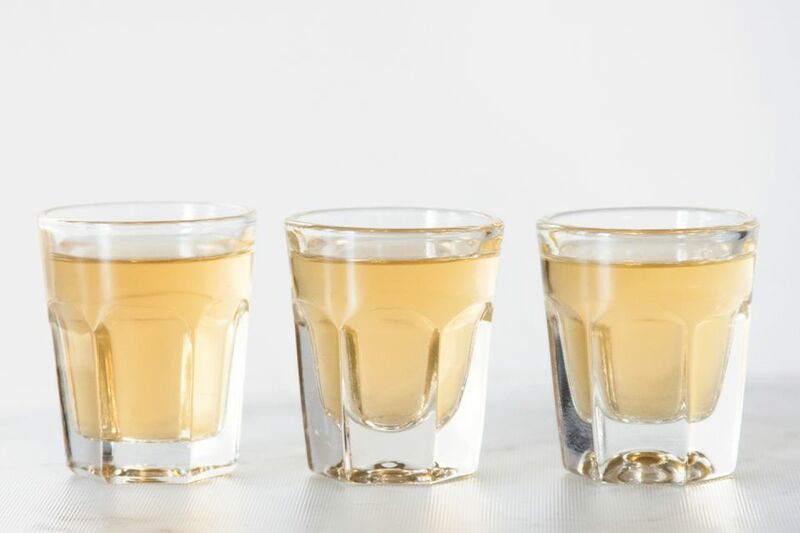 If you're using a 100-proof schnapps like Rumple Minze, you might want to pour a little less so you can taste the other ingredients. There's no need to pour your best brandy in this shot. Find a good, affordable brand to keep in your bar for drinks like this and save the good stuff for sipping straight or enjoying in fancy brandy cocktails. If you were to skip the brandy and pour only the crème de cacao and peppermint schnapps, you would have a polar bear shot. As with that recipe, you can add any base spirit you like to the chocolate-mint combination. Vodka, whiskey, and brandy would be the obvious choices, though an aged tequila may not be bad either. Another similar shot is the snowshoe. In that recipe, you'll simply shake bourbon and peppermint schnapps. A fun experiment is to infuse your brandy with chocolate. It's easy to do with chocolate-covered cacao beans, similar to this rye whiskey infusion. Pouring that into your snowball should be pretty tasty and it's a good three-day winter project. How Strong Is the Snowball? The snowball can be either a relatively mild shot or a pretty fierce one. The biggest factor is the peppermint schnapps that you choose to pour. With a 30-proof schnapps, the alcohol content will be around 28 percent ABV (56 proof). If you go with a 100-proof schnapps, it jumps to 41 percent ABV (82 proof) on average. That's the same as taking a straight shot of tequila.